For those of you who follow Dead Serious Radio, you know that we like to do what we can to keep our listeners entertained on Tuesday nights. For those of you who don't, where have you been? Tuesday nights used to be when people would sit around the house or that empty bar on the corner and do nothing, wishing and waiting for a talk radio show to spice up their lives. Once ALPHA started doing talk radio, the world's boredom rate dropped substantially. This is due in part to the efforts of the show's guests who are kind enough to take the time to discuss both the paranormal, as well as some other light-hearted subjects. 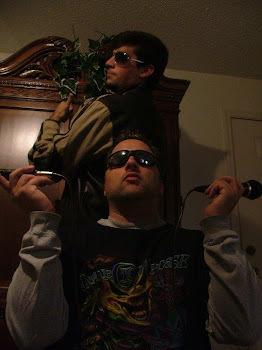 In only our second episode of Dead Serious Radio, I already had to fill in the big, talkative shoes of Scott Tepperman since he was getting shipped overseas to film another season of Ghost Hunters International. I was the new co-host along side of Ron Bordner. We were able to recruit an up and coming band out of Orlando for an interview on my infamous "Bill Me" segment. 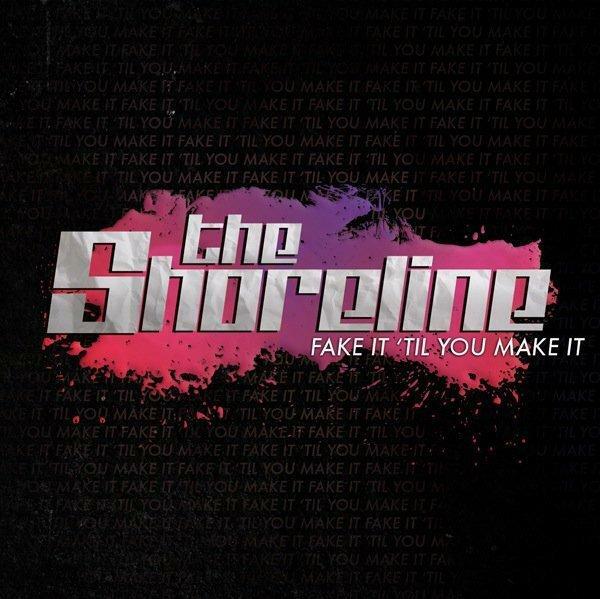 The Shoreline, headed by Jose, Bud, and JFunk, had recently released a new album called "Fake it 'Til You Make it". I discussed a few things with them about their album, including the name of the album itself. They tried to get across the idea of being better than you actually are until something good comes your way. It's a concept that is all too common in the media, in music, and sometimes on the job. Their sound, however, is anything but 'fake'. The Shoreline's music tends to be classified as Pop Rock, but their sound is constantly changing. When I asked the guys how their sound has changed since their first album, they replied that they took a full 180 degree turn from their original music. They look up to bands like Jimmy Eat World, Boys Like Girls, and The Starting Line. Once they mentioned The Starting Line, they must've thrown the word "Direction" around at least half a dozen times. For those of you who couldn't catch that freudian slip, "Direction" was the name of The Starting Line's newest album. From the first time I've listened to "Fake it 'Til You Make it", I instantly drew the connection between The Shoreline and The Starting Line. Kinda similar names, but their album reminded me of "Direction" without seeming like they tried to go for the same sound. Trust me, The Shoreline has a wide array of original jams that are hard to come by anywhere else. The Shoreline has quite the web presence, including a music video for they're song "Just Go Ahead". You can find their albums basically anywhere on the web, including iTunes and Amazon.com. Google sure is a nifty way to find that stuff. Click here to watch "Just Go Ahead"
These guys are more than capable of putting on a great show, but they need a little help from some generous donors if you want to see them perform in your town. The band is only missing a van to transport themselves and their instruments. For now they are tied down to Central Florida until they are otherwise able to obtain that reliable transportation that most of us take for granted. If you need a little more convincing, I'll add this: The Shoreline offers their album online to be downloaded for free. Other tracks from the band can be downloaded from their purevolume site and ReverbNation. However, the main source of everything you need to know about The Shoreline is at http://www.theshorelinemusic.com/. If you would like to see the full interview I had with The Shoreline on Dead Serious Radio, it can be found here. I do indeedy need to check out all the tasty links you've put up :) The interview was great! Hopefully you'll have them back again sometime.